Revisiting the classics this week with a new release by living legend Wayne Shorter and a new take on Duke Ellington by Terri Lynne Carrington. Terri Lynne Carrington, Money Jungle: Provocative in Blue: Duke Ellington’s 1963 Money Jungle is a singular artistic statement. Enlisting the support of Charles Mingus and Max Roach, both not only heavyweight musicians, but musicians with very distinct personalities, Ellington created an album for the ages: the rebellious, almost subversive quality hinted at in the title mirrored by the palpable tension in the band. It was Ellington’s date and the band played all Ellington compositions (and one not by Ellington but generally associated with him), with the exception of ‘Caravan’ and ‘Solitude’, all of which were written specifically for the date. There can be no doubt that the album was shaped by Ellington’s vision, yet he was working with a rhythm section that would be hard to corral; hearing how he attempts to keep Mingus in check is half the fun. All this together, the tension, the possible subversive nature, means that, depending on your perspective, Money Jungle is either an untouchable idiosyncratic statement or prime material for a reimagining. Now, 50 years later, drummer Terri Lynne Carrington has taken the latter view and released her, very much reimagined and reinterpreted take on Money Jungle. Carrington’s Ellington is pianist Gerald Clayton and her Mingus is bassist Christian McBride, but her radical rescoring of Money Jungle leaves room for other guests as well, including horns on a number of the tracks and occasional spoken word. Clark Terry even adds his signature mumbling to the new version of ‘Fleurette Africaine’, and really, what album wouldn’t be improved with a bit more Clark Terry? Carrington’s take on Money Jungle’s greatest strength is just how different it is from Ellington’s. Carrington uses the originals as inspiration for her often very different new takes on them. Her ‘Fleurette Africaine’ serves as a good example of how much she reworks the Ellington tune. ‘Fleurette’ is a standard at this point, immediately recognizable, but you could listen to the first two minutes of Carrington’s version before realizing what it was. In those two minutes the band establishes a groove while Terry mumbles. After this the piano states the melody in a relatively straight manner, but the highlight of the track is counterpoint from a sax/trumptet/flute cohort which would be, obviously, completely lacking in the original. Ellington’s ‘A Little Max’ was a jaunty, short little head with lots of empty space for Max Roach to play around in. Carrington’s is barely recognizable and is no longer a drum feature, but, to my ears, features Gerald Clayton on the piano (who does a fantastic job, by the way). These are fantastic tracks which I hesitate to call takes on Ellington; they seem to owe more to Carrington and this current project than they do to Ellington. I do have a handful of quibbles with this otherwise excellent album. For starters, it lacks versions of ‘Caravan’ and ‘Solitude’, the two songs Ellington had previously recorded that he reworked for inclusion on Money Jungle. It is, I know, unfair to judge an album on the basis of what isn’t there, but I would have liked to see what this band did with those two songs, particularly given how creative the arrangements for everything else were. My other problem is with the voiceovers. Ellington’s album may have hinted at political themes obliquely, but Carrington addresses them head on, particularly by including audio clips taken from the news and political speeches inserted on top of the music on a handful of songs. That is how the album begins. In case there was any doubt the song ‘Money Jungle’ is somehow about money, Carrington’s version announces that it is by beginning with such clips played over her solo drums. Her take on ‘REM Blues’ also includes spoken poetry. I think these flourishes are highly unnecessary. Carrington’s Money Jungle is already a successful jazz album without them; with them it’s a less successful art project. Three and a half stars. 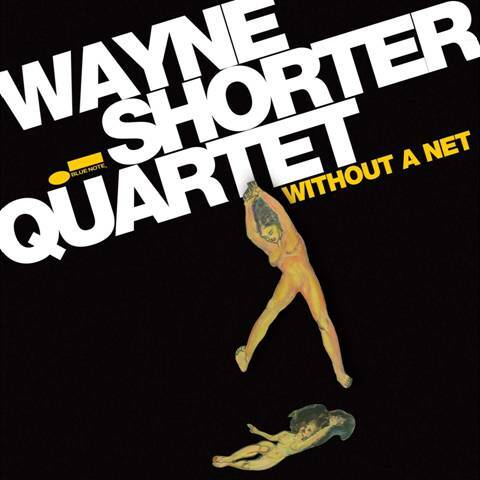 Wayne Shorter, Without a Net: Before Wayne Shorter’s recent release, recorded live with his workhorse quartet with Danilo Perez on piano, John Patitucci on bass and Brian Blade on drums, even came out, people were already speaking confidently about how it was certainly going to be the release of the year. In general I dislike that sort of judgment being made before anyone has even heard the album (I’ve been disappointed enough by recent Sonny Rollins’ releases to be a bit more cautious with my assumptions, even where living legends are concerned), but I can’t say that it doesn’t look like that may very well be the case. Without a Net is certainly the best album I have heard so far this year. Even though the year is still young, we’ve already seen some strong releases, but Without a Net leads the pack by a hefty margin. Shorter’s quartet, which has been working together for a decade now, is almost telepathic in the way its members work with each other. Brian Blade once again delivers a constantly exciting performance. The tunes are loose enough to give everyone ample room to breathe and move about, but with this group they never lose their edge. Perhaps the best description of the album comes from Brian Blade himself. Shortly into Wayne’s solo on the epic ‘Pegasus’, clearly the highlight of the album where the quartet is joined by the Imani winds, Blade can’t control himself and exclaims “oh my god.” Indeed. Four and a half stars.